Peru’s underrated capital is packed with things to do and see. If you’re short on time, you don’t need to miss out – we’ve created a step-by-step itinerary for what to see in Lima in one day. Travelling to Peru? Check out my other Peru travel tips, guides and features and South America itineraries. Start your day with a coffee in the heart of Lima’s old town, known as the centro historico, then make your way to the striking Monastery of San Francisco. If you only have one day in Lima, the centro historico should be at the top of your list. 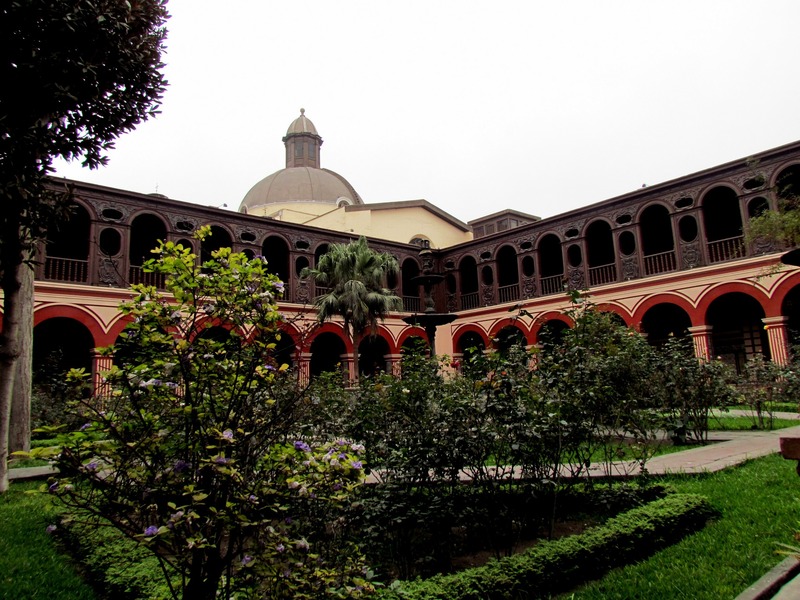 Read our full guide to visiting the Monastery of San Francisco, Lima. The Monastery (and attached church) is Lima’s most popular tourist attraction, and for good reason. The building houses a number of treasures: a remarkable library containing over 25,000 antique texts, beautifully decorated atriums and walkways – in the hush of the monastery, it’s hard to believe that you are in the middle of a thriving city. Visitors to the Monastery of San Francisco need to book into one of the guided tours. They cost around 10 soles (£2) and are well worth it. The guide takes you on a tour of the monastery, providing insight into the religious lifestyle and culture during the Spanish colonial rule. Keep your eyes open for Diego de la Puerto’s 1696 painting of The Last Supper – notable for the replacement of European dishes with traditional Peruvian dishes. There’s a much darker side to the monastery and church too: the catacombs. Discovered in 1943, there were about 30,000 human remains buried below the Monastery of San Francisco that date back to 1808. Descend if you dare. Just around the corner from the Monastery of San Francisco, you’ll find the Church and Convent of Santo Domingo. The church’s beautiful pink facade is reason enough to take a visit, but for just 5 soles, (about £1.50), you can go inside and explore the church’s vast courtyards, gardens and naves. The church was originally built in the 16th century, but has been rebuilt a number of times over the years due to earthquake damage. It’s also the only church in Lima with a steeple. 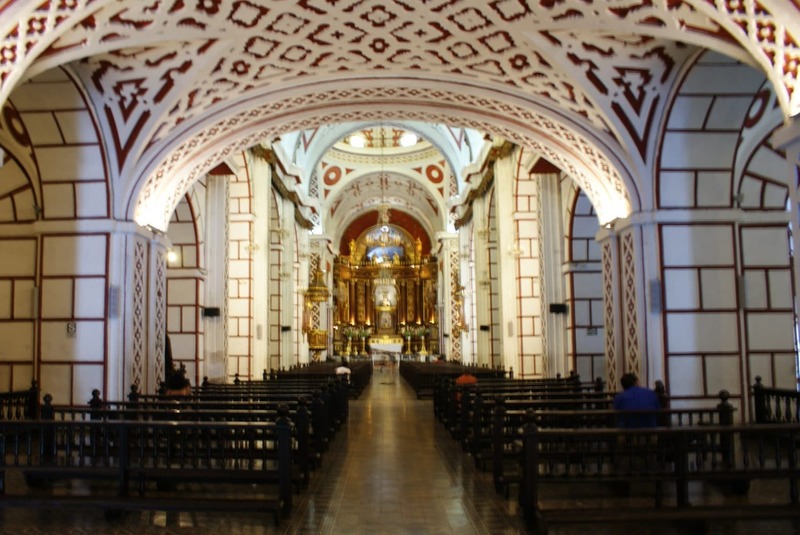 The Church and Convent of Santo Domingo is a historic landmark in Lima as it houses the remains of three important Peruvian saints: Santa Rosa de Lima, San Juan Macías, and the continent’s first black saint, San Martín de Porres. Take a look at the church’s main altar to find the skulls of the three saints. Beautiful as the Church and Convent of Santo Domingo are, there’s an added bonus to visiting. If you time your visit right, you can also climb to the top of the bell tower for a breathtaking view of the centro historico. Take a taxi or a public bus from the old town to cosmopolitan Miraflores. Located by the sea, Miraflores is the heart of Lima’s business district and it’s also where a lot of the city’s luxury hotels are based. More importantly, Miraflores is where you will find some of Lima’s best cevicherias. Ceviche is a refreshing Peruvian dish consisting of fish marinated in citrus juices dressed with chilli peppers, onion and coriander and served with peruvian choclo (maize corn) and potato. 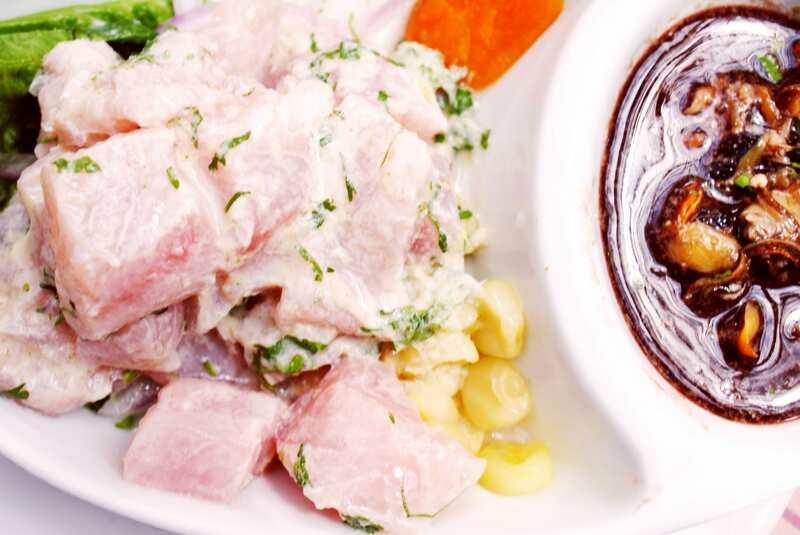 There are so many cevicherias in Lima to try, you could spend a week working your way between them, but our favourite has to be El Veridico de Fidel on the outskirts of Miraflores. El Veridico de Fidel is only open at lunch and tends to be a very popular place (for both tourists and locals). If you’re feeling up to it, wash your ceviche down with the classic Peruvian cocktail – a Pisco Sour. Be warned, they’re as potent as they are delicious. Imagine Willy Wonka’s chocolate factory but in Lima! That’s right for all those with that crazy sweet tooth, Lima’s Choco Museum is where your dreams come true. You can’t miss the smell of chocolate wafting out of the museum. Once you’re inside, it only gets better. The two hour class is informative and fun all at the same time – explaining where the Peruvian cocoa comes from, how it’s produced, who consumes it, all why enjoying treats along the way. During the workshop you’ll learn how to make the famous Mayan hot chocolate (minus the blood of a human sacrifice of days gone by) and try some tasty cocoa tea. You won’t be leaving empty handed though. 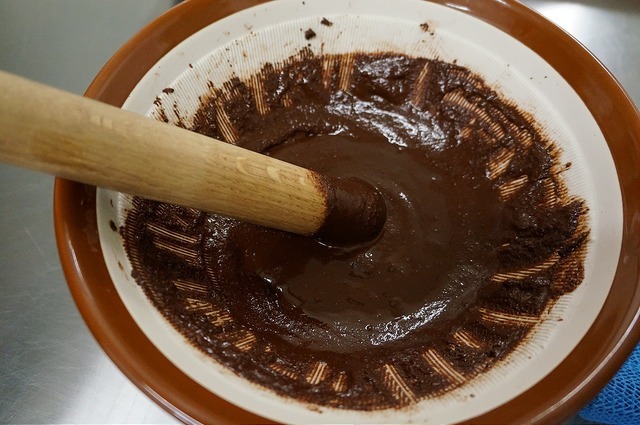 By the end of the workshop you will be fully skilled in the art of making your own chocolate. Plus you get to bring an “ I LOVE PERU” handmade sweet treat to bring home. What’s not to love? OK, so you’ve stuffed yourself with chocolate and ceviche (what a glorious combination), it’s time to take a little stroll along Lima’s El Malecón. This coastline walk offers a stunning view of the bay of Lima but the real highlight is the El Parque del Amor. 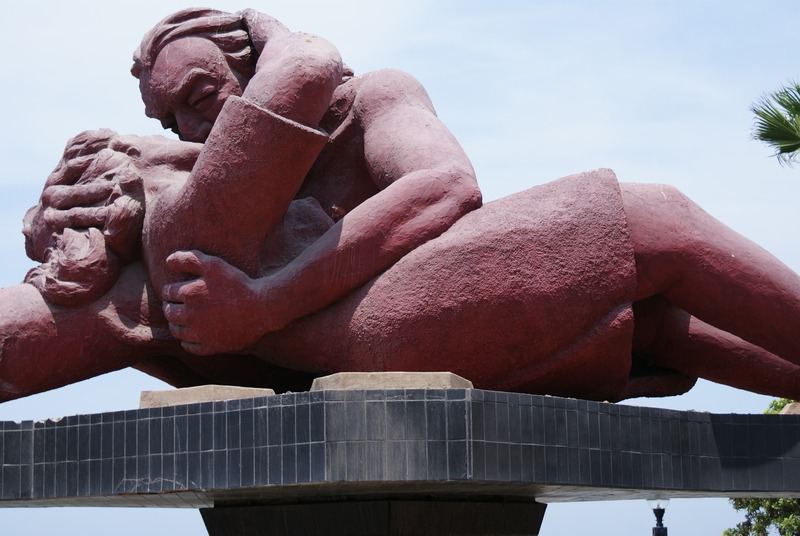 The Park of Love (yep, real translation) is home to Victor Delfin’s famous statue The Kiss. The statue shows two lovers entwined in a passionate kiss. That’s not the only draw though – look out for the mosaic artwork and romantic quotes that cover the walls. Once you’re finished, take a moment to stroll further along the El Malecón walkway and watch as parasailers glide off the cliffs. If you have enough time, you can give it a go yourself (book ahead). It’s time to head to our third and final area of the day, Barranco. 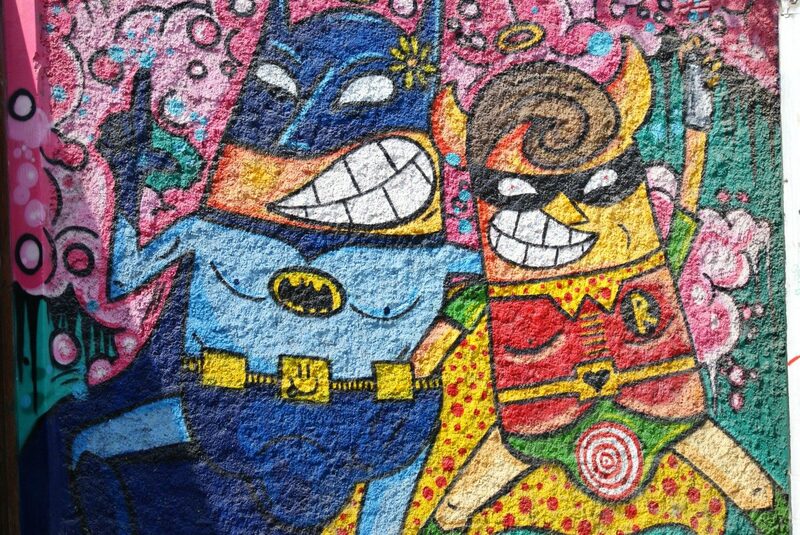 Barranco is (in our humble opinion), Lima’s coolest district and well worth a visit if you want to know what to see in one day in Lima. The city of Barranco is Lima’s own version of Soho: young, hip, and plenty of cool spots dotted along the pavements. 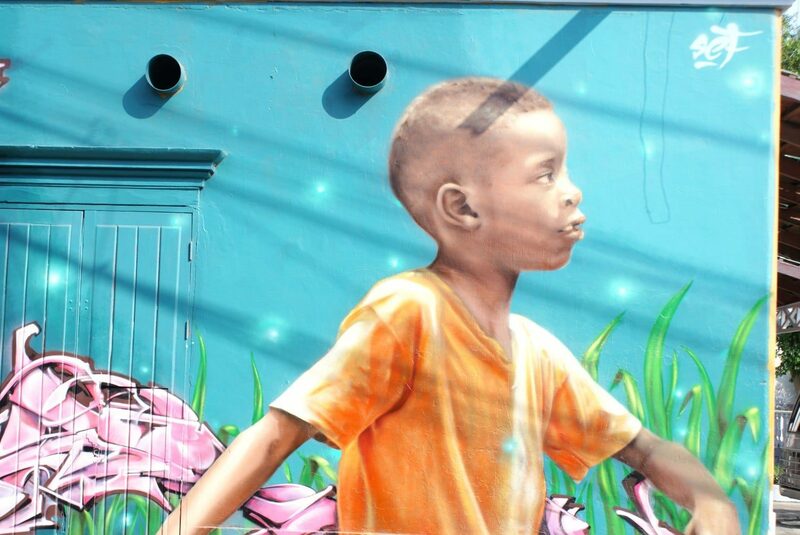 It’s also home to some of the city’s best street art. You can’t pass a wall without being drawn into its colourful story as you stroll through the streets. 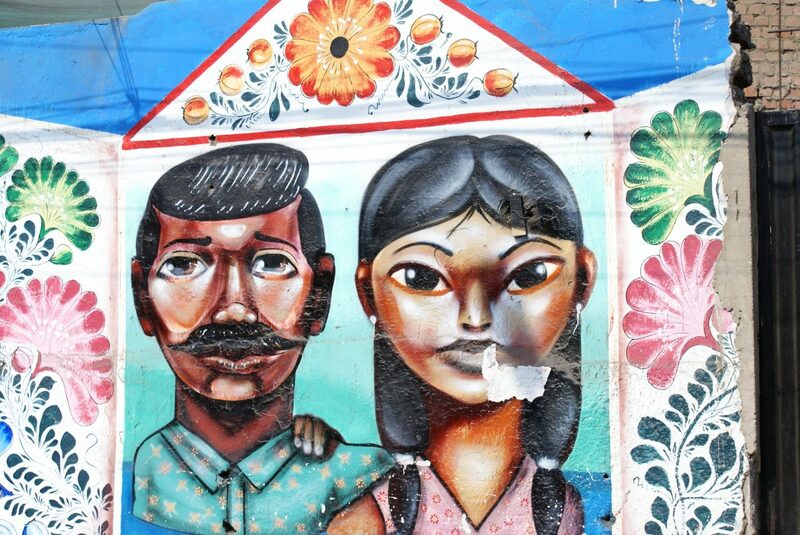 While it’s completely possible to walk around Barranco browsing through the street art (particularly with our handy guide to street art in Lima), you can also book onto one of Tailored Tours Peru street art tours to learn about the artists and symbolisation of the colourful works. Make your way to Puente de los Suspiros (The Bridge of Sighs) for sunset. 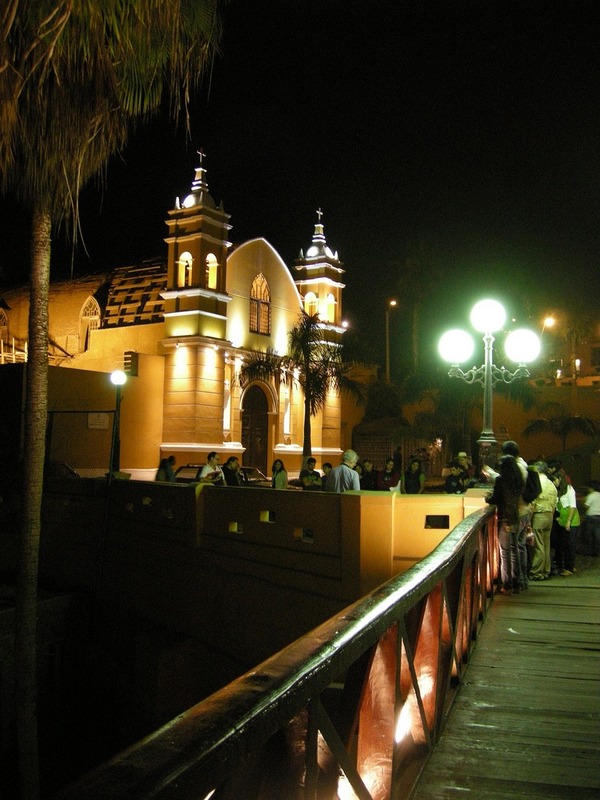 The Puente is a wooden bridge spanning the Bajada de Baños, a stone walkway that runs down to the Pacific from Barranco. Grab a pisco sour at one of the local bars or restaurants alongside the Bajada de Baños find the perfect spot to watch the sun set on the Pacific. But don’t get too comfortable, there are a few stops left before you can call it quits for the night. Thinking about travelling to South America? Check out these step-by-step South America travel itineraries for inspiration. Your last stop in Barranco should MATE, a showcase of famous fashion photographer Mario Testino’s work. The non-profit institution was founded in 2012 by Testino (who is Peruvian) and features some of the artist’s most striking work. Check out Testino’s famous portraits of Beyonce and Princess Diana as well as his less well-known portraits of Andean women in traditional dress. The gallery also showcases a rotating collection of works by other Latin American photographers. As you’re pretty short on time, you might want to check out the gallery’s multi-wall film installation. 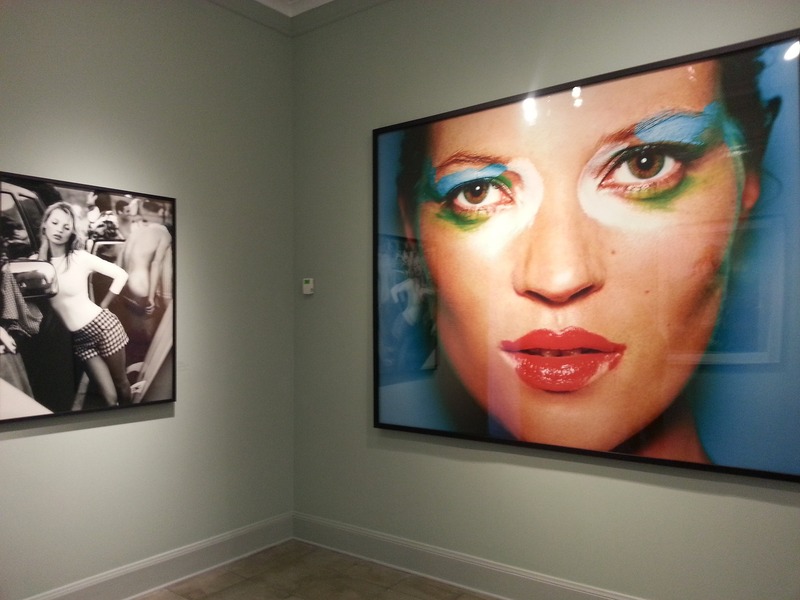 The installation shows images and editorial films from Testino’s personal archive. Address: Avenida Pedro de Osma 409, Barranco. 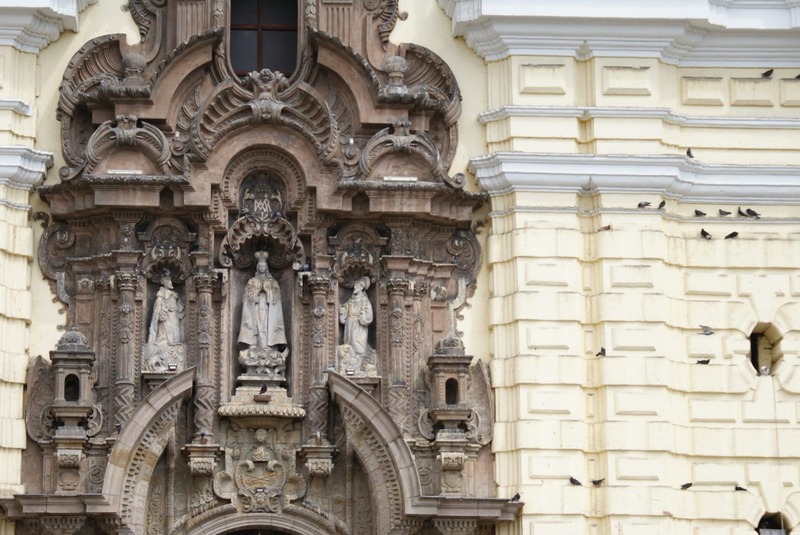 It’s time to head back to Lima’s centro historical. Although it’s a bit of a schlep from Barranco back to the centre, it’s totally worth it for the Magic Water Circuit at Parque de la Reserva. The circuit holds the Guinness Book record for the largest fountain complex in the world and is can’t be missed on your one day in Lima itinerary. 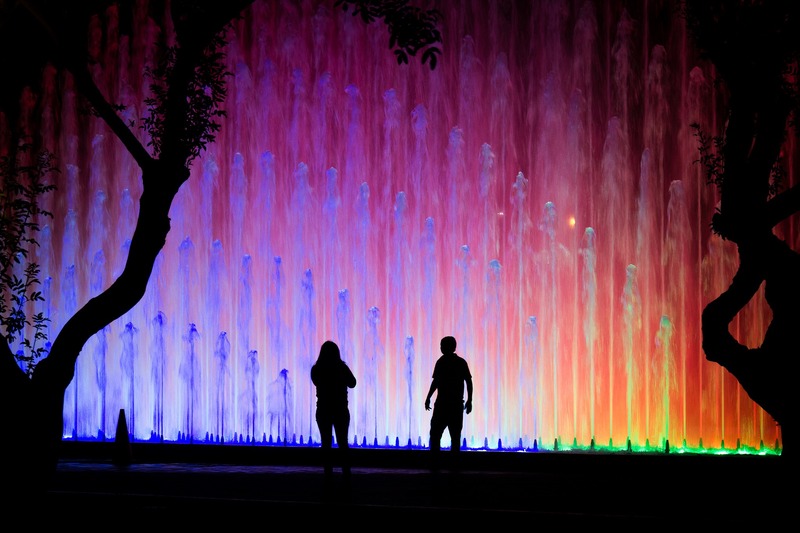 The show occurs three times throughout the night after sunset and consists of 13 distinct interactive fountains. The fountains are synced with a laser light program to go along to the rhythm of the Peruvian music that plays during the show. We can’t think of a more perfect way to end the day (well, perhaps with another pisco sour or two). Address: Parque de la Reserva, Block 5 Avenida Petit Thouars, Lima, Peru. 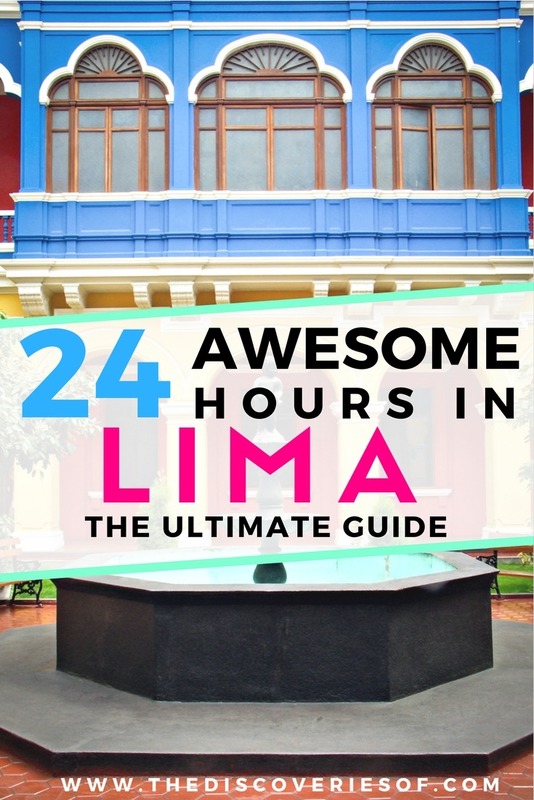 Looking for more Lima travel guides? Check out our collection of Lima travel articles, guides and inspiration.